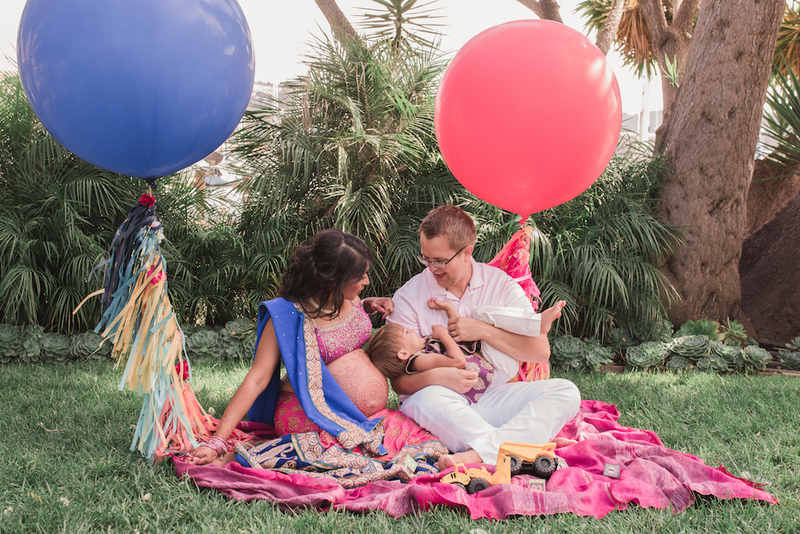 I am excited to share with you my maternity part II photo shoot! We did the first maternity photo shoot two years ago at The Lighthouse at Glen Cove. It’s this secret historic house on the water in Benicia/Vallejo, California, right in the East Bay. Because we are one part determined and one part crazy, we had a smash cake first birthday photo shoot at the SAME beautiful venue a year later. We wore the same clothes and had similar look to the first session. 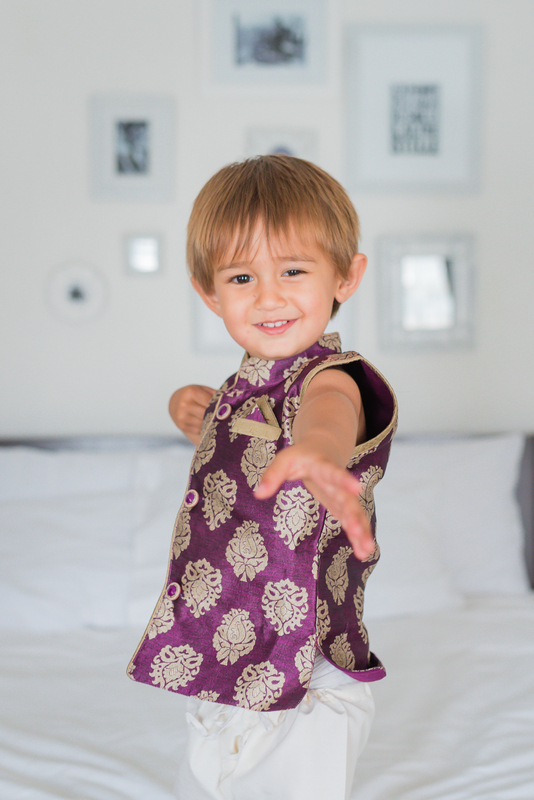 And two years after the baby #1, wed planned and executed another photo shoot, for baby #2! I have some amazing friends and wedding professional colleagues which most definitely helps. 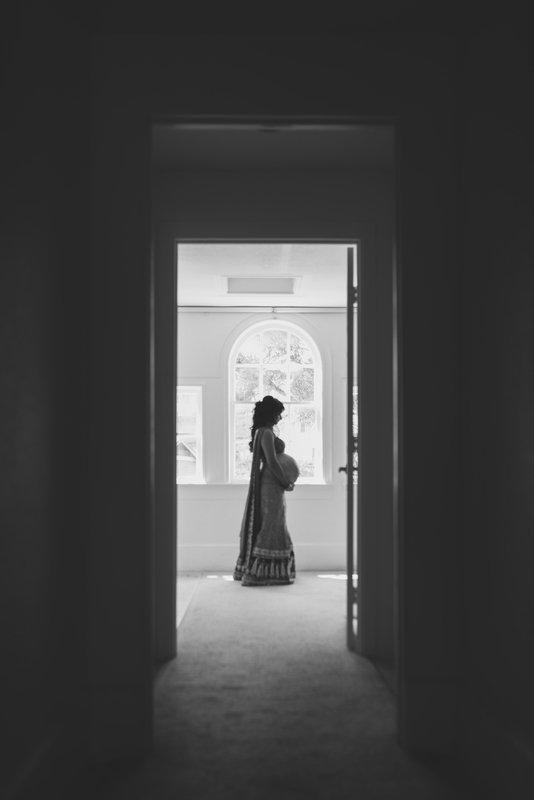 Together we put together an elegant and uncomplicated maternity session. Let me tell you doing a three year time base photo shoot is crazy but absolutely worth it. I wrote about how to plan a time series of family photos successfully here if you want to know more. Tami Weis of Fancy Fig Photography photographed us for the second year in a row. She is a San Francisco Marin county based wedding and family photographer – and oomph, dare I saw her photos are stunning. When it comes yearly photo shoots, simple elegance is your best friend. 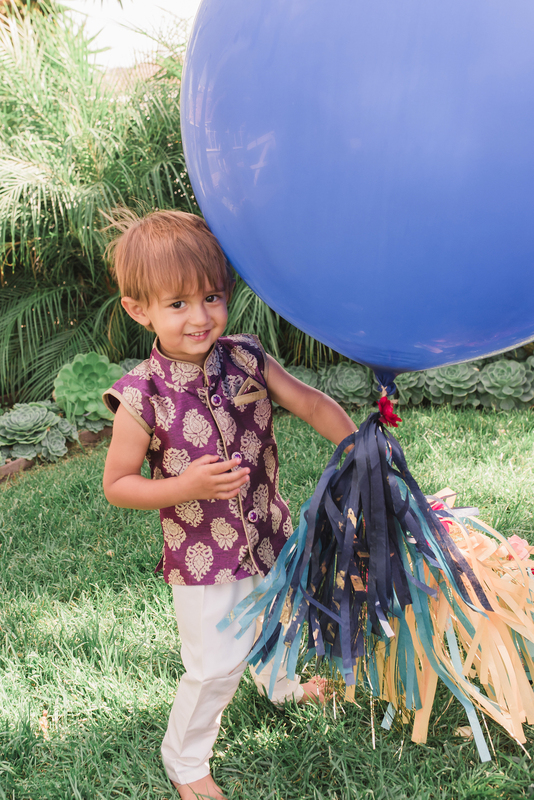 For decor, Nicole at Lifted Balloons (based in Martinez, California) provided the happy and large bubble balloons with tassels. 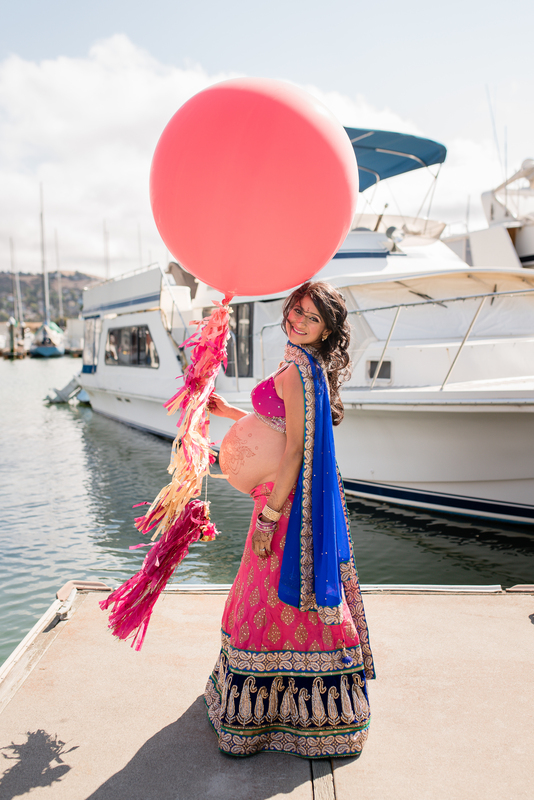 She matched the balloons to my lehenga outfit – magenta and navy blue. Her work is lovely and durable because the streamers today hang in my children’s room. 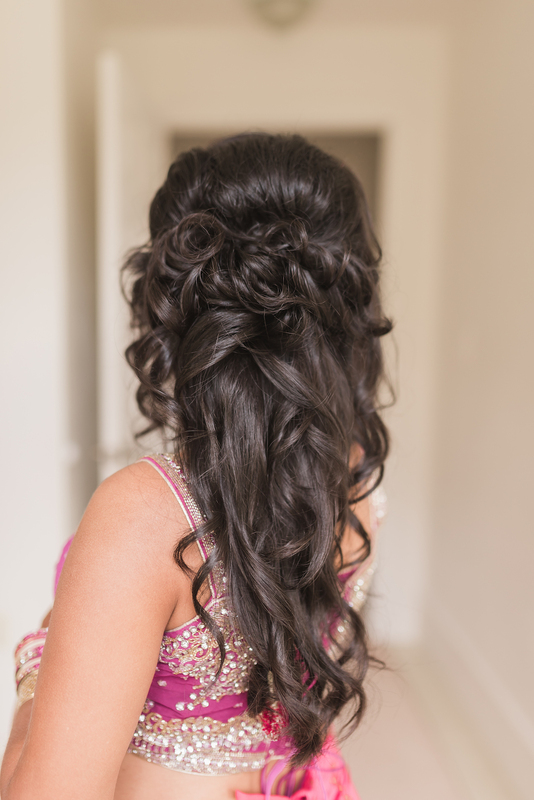 To glam up – because you’re a mom-to-be and deserve professional care love, I worked with my good friend Timsi Malhotra. She’s a professional wedding makeup artist and just is darling. So lovely, you want to just squeeze her. 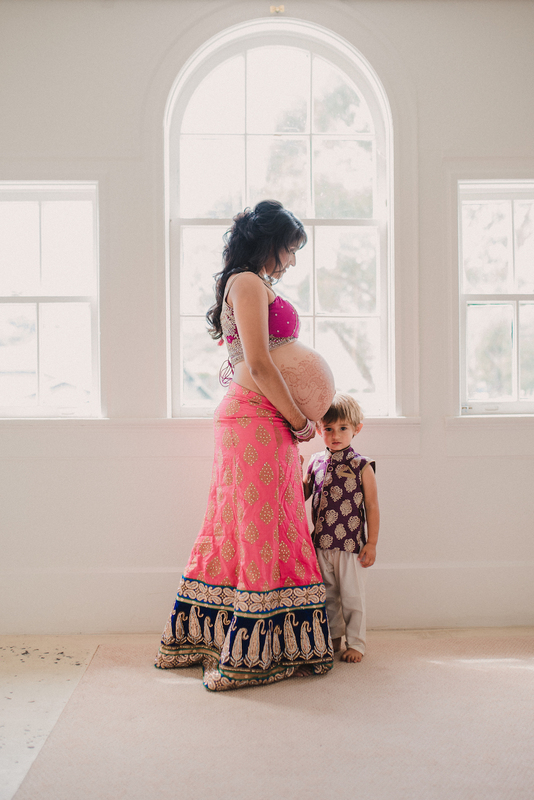 We wanted the light and airy makeup look, but not overly traditional maternity style. That is Timsi to the T! 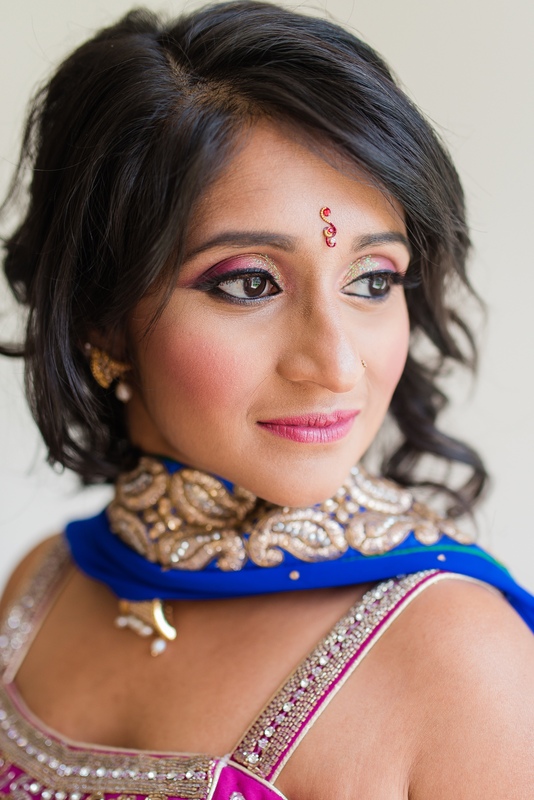 She can give you ethereal look but still have the Indian desi glam. For mehendi I worked with Sabreena at Ritual by Design in San Francisco. You cannot go wrong with her artistry. I’m going to stop talking and let you fall in love with the photos. Be sure to see our photos from baby #1 and the smash cake. You’re going to love our same same outfits!